ENCANTOS EM PONTO CRUZ: NÃO PERCAM. ESTE É O ÚLTIMO DO ANO!!! então não perca mais tempo, você não imagina o que te espera. so do not waste anymore time, do not you know what awaits you. Aciama purchases of $ 79 shipping is free, so what are waiting for? 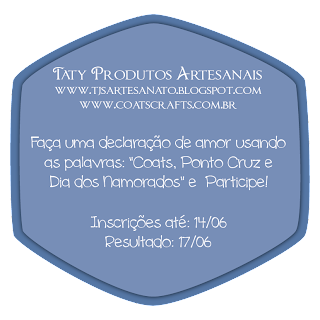 Today I will show you some sandals that I particularly loved, and of course wecould not stop talking about the dress for parties, work and other ..."
Arte em Macramê e Crochê: Concurso Cultural Coats Corrente.